This one has been done for a while, I just can't seem to get around to blogging about it! 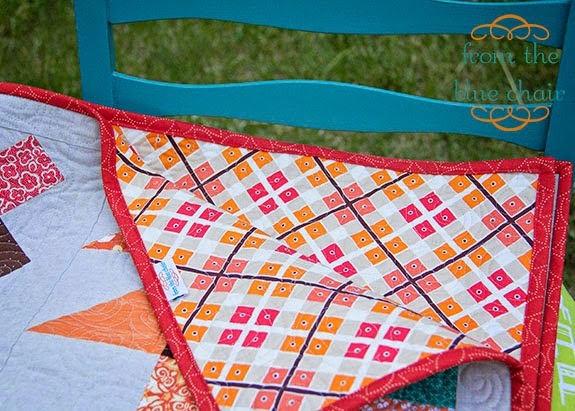 When I started this quilt, I intended to make all 20 blocks from the Vintage Quilt Revival Book. After eight blocks, I still wasn't loving it. I just don't enjoy samplers. I made one more block to make a baby quilt and use the blocks I created. I feel better now that it's done, but didn't enjoy making this one as much as I'd hoped. I still intend to make a couple of the quilts from that book. I just won't be making any more samplers for a very long time. With the sashing this quilt finished up about 40" square. Swirly quilting, which has become my standard "fancy" quilting. I backed it with my favorite Katie Jump Rope print. I would be so thrilled if this line were reprinted someday. It's my favorite line ever. You know, I'm just not excited by the idea of making a sampler quilt either. These blocks do make a darling baby quilt though. And your swirly quilting is very inspiring! I've only made one sampler in the time I've been quilting and it has never done anything but sit on a quilt rack, usually covered by other quilts. Isn't it funny how projects we're not super excited about don't seem to get blogged about as readily? 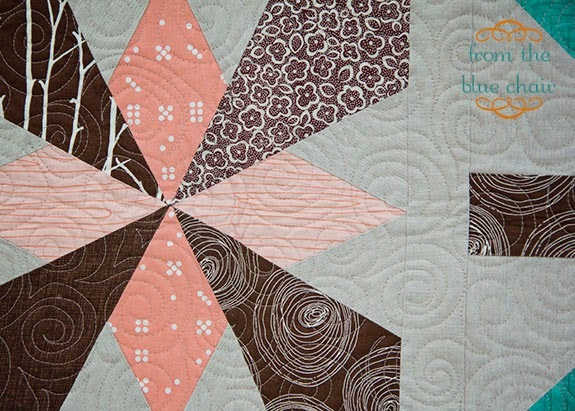 All that said, I love your fabric selection and the swirly quilting. The only sampler I've ever made was my first quilt - in a basic quilting class. That was five years ago. 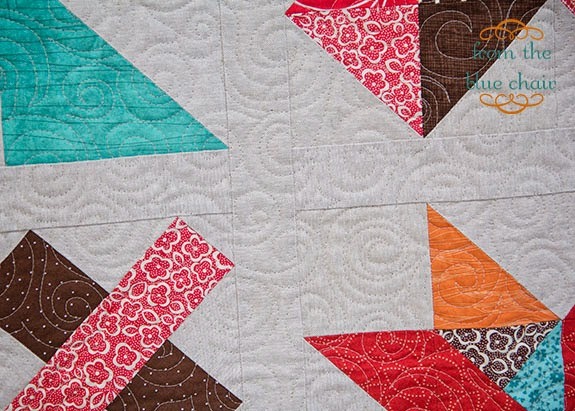 Love your swirly quilting. I need to get better at that. It looks so pretty. 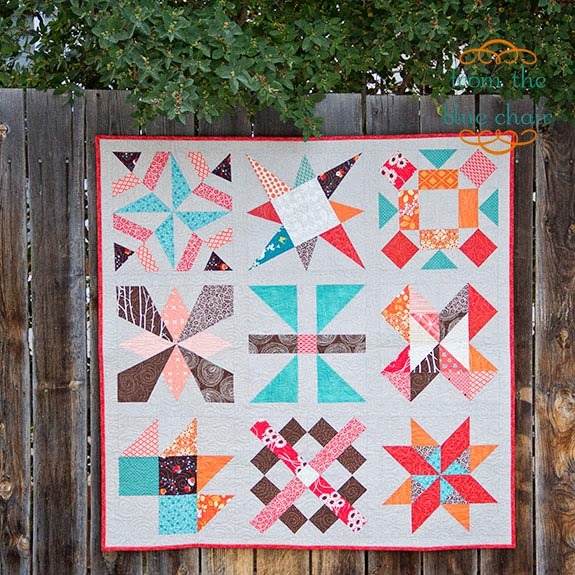 I Like The Way The Blocks Float On The Background Because The Sashing Is The Same Fabric As The Block Backgrounds. Some samplers are prettier than others, but I don't make very many of them either. I do have a star sampler that I like though. Yous looks cute for a baby quilt and the quilting is just right. I love your quilt! The colors and blocks are perfect! 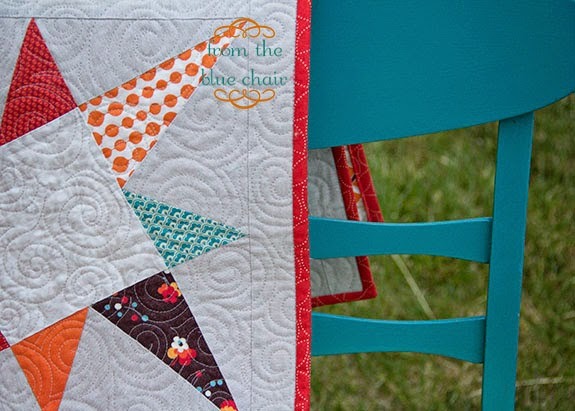 Love this baby quilt, but I know what you mean about samplers not really floating your boat. Olfa's 35th Anniversary and A Giveaway!